An important aspect of the human body that needs to be taken care of is the kidney but many people destroys their kidney due to some bad habit possess by them. Many people do not know the effect of these habit until their kidney begins to malfunctions. 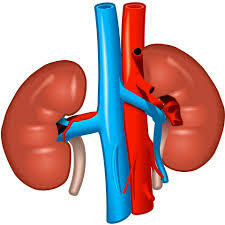 The kidney is responsible for osmo-regulations in the body which means a process whereby the body of human regulate balance between water and salt. It ensures the body does not lack water and salt or do not have it in excess. 4. Diseases such as kidney stones, diuresis, dropsy and many more. 1. Diuresis: This is a condition where the cells of kidney tubules are not reabsorbing water and as a result, more water is passed out as urine. Diuresis also occurs due to diabetes when the body produces less water and the patients produce more urine in a day. Use of antibiotics - there are some antibiotics that are really strong and can help fight against this diseases. Kidney transplant - The infected kidney can as well be replaced with a healthy kidney. 3. Kidney Stones: This disease is cause by a growth which affect urine passage and may affect the flow of urine. It causes severe pains, it causes fever and disturbs the passage of urine in the urinary system. It causes sluggishness, swollen part of the face, leg and ankle and may cause weakness. 3. Kidney transplant can be done to replace unhealthy kidney and replace with healthy one. You only need to take care if your health, avoid things that will make your kidney go wrong, watch what you eat and live healthily. Thanks for reading.